Citing people familiar with the matter, Bloomberg reports that the team responsible for the smartwatch initiative has grown to about 100 people over the past year, and includes marketing, software and hardware personnel who previously worked on the iPhone and iPad. In a rare move, the publication names two of the team members  Senior Director of Engineering James Foster and Apple manager Achim Pantfoerder  as being part of "efforts to introduce a wristwatch-style computer." The sources go on to say that Apple previously looked at releasing wearable computing devices, though the projects never reached the hands of consumers. According to these people, the sheer size of the purported smartwatch team suggests the rumored initiative is now past the experimentation phase. Reports of the alleged watch came pouring in last week, with The New York Times saying Apple was experimenting with a "wristwatch-like devices made of curved glass" that runs iOS and can perform minor smartphone operations. In a separate piece, creator of Apple's Human Interface Guidelines Bruce Tognazzini predicted that the company would release an "iWatch" to fill a "gaping hole" in the iOS ecosystem. 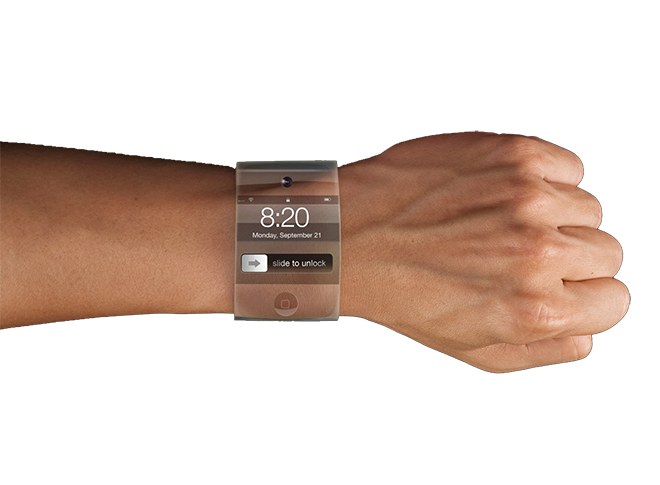 "[The iWatch] will facilitate and coordinate not only the activities of all the other computers and devices we use, but a wide array of devices to come," Tognazzini wrote on his blog. "Like other breakthrough Apple products, its value will be underestimated at launch, then grow to have a profound impact on our lives and Apples fortunes."